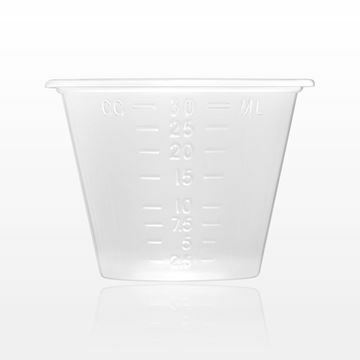 This polypropylene lid perfectly fits our 2 oz/60 ml measuring cups, Part#s 29289, 73059, 73060, 73061 and 73062. Sample, mix or store various types of cosmetic formulations with these 22 ml (0.75 oz.) and 30 ml (1 oz.) 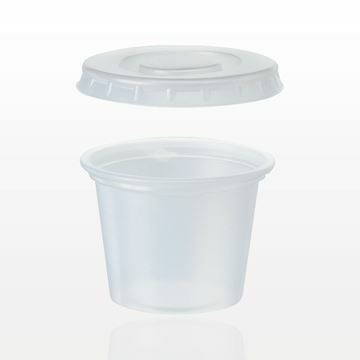 disposable food grade polypropylene cups. The corresponding PET lid, Part # 90629 is also available for purchase. Sample, mix or store various types of cosmetic formulations with this 60 ml (2 oz.) polypropylene cup. The corresponding PET lid, Part # 90630 is also available for purchase. Sample, mix or store various types of cosmetic formulations with this 120 ml (4 oz.) food grade polypropylene cup. The corresponding PET lid, Part # 90632 is also available for purchase. Qosmedix offers the best wholesale measuring cups for professional use. Our product selection is designed to help you achieve precise measurements of product formulations. We provide a comprehensive array of cups in different volume capacities, materials and colors. 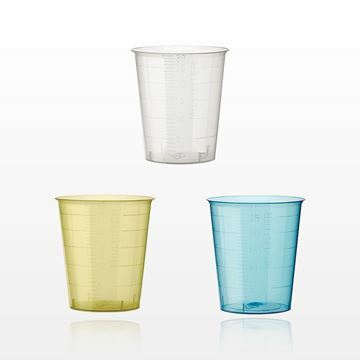 Measurement cups with printed indicators make it easy to determine exact amounts of liquid or dry products. Qosmedix has quality saucers, cups and solution bowls that support accuracy and efficiency in a range of laboratory and beauty industry environments. We are committed to providing the best measuring cups and spoons in bulk. It is vital to measure liquids for the salon, spa or medical environments quickly and correctly. Our disposable measuring cups are available with oz., ml, cc, tbs and dram indicators to make sure that accurate amounts are used. These cups are popular supplies for the salon, spa and cosmetic industries. 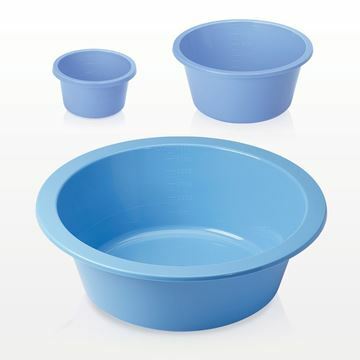 A solution bowl or measuring cup contributes to the mixing of ingredients in proper proportion. 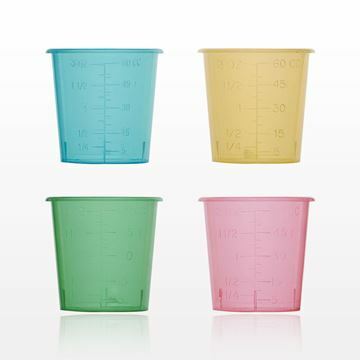 Choose between reusable or disposable measuring cups, depending upon requirements. Our huge selection of measurement products also includes: plastic pipettes, glass beakers, funnels and more. At Qosmedix, we make buying the essentials you need fast, easy and affordable. 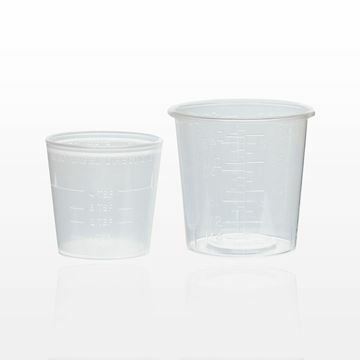 Ordering cups and lids in bulk quantities can support your accuracy and safety requirements. 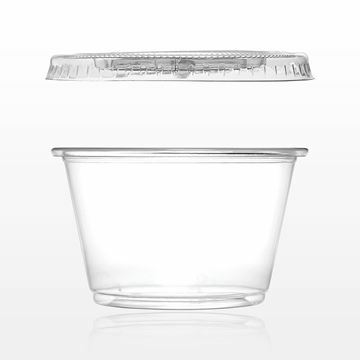 We offer lids that snap on measuring cups to prevent spills and splashes. Our popular polypropylene cups are also available in 80-cup sleeves. 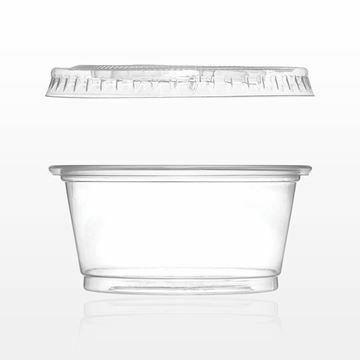 Your business will be prepared for the measurement and movement of liquids or solids when you order our disposable measuring cups and lids in bulk today.